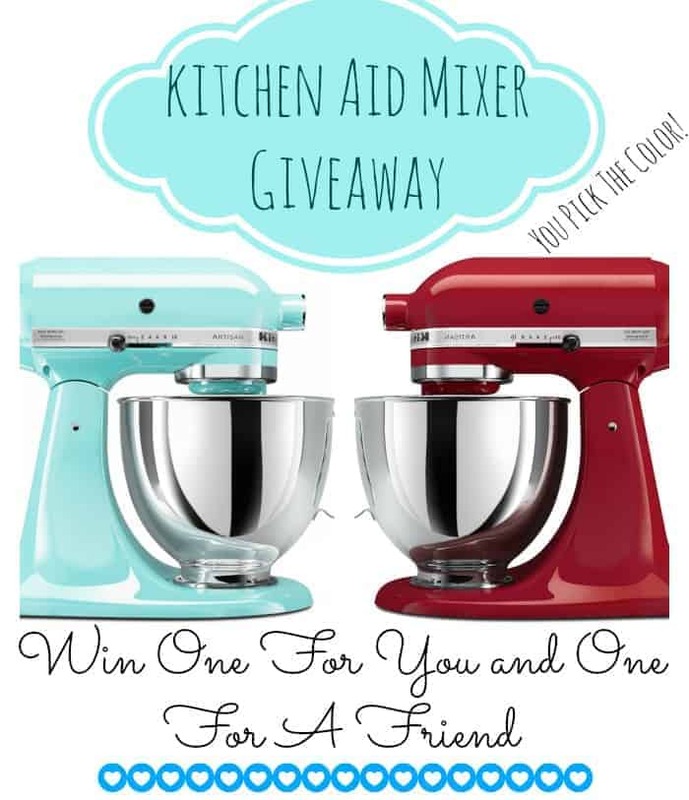 Kitchenaid Mixer Giveaway for you and a friend! There’s a box that says make sure to fill it out … but I don’t know what to put in there? It won’t let me enter, even though I went to Fb and Pinterest and “Liked” or “Followed” … what do I need to do differently to enter? I was just telling the hubs I want this for Christmas! Great Giveaway!! I’m sorry I couldn’t bring you with me when we moved from Europe, but I know you are in good hands now that you belong to a very nice lady, who love baking as much as I do. Would I ever be able to replace you? how do i enter this giveaway?? enjoy reading food blogs, wish I had more time to try out the recipes. Winning would be the greatest! would love to win a mixer for my Mom, she’s been wanting one for forever! Hope I win this…been wanting one forever! I have been wanting one of those mixers forever!!! I have always wanted one for years! I could really use a Kitchenaid mixer! And have 5 daughter-in-laws that 4 out of the 5 do not have a good mixer! We would love to have the BEST! The turquoise and silver models would be great for the 2 that I would win! I would keep the turquoise and give away the silver one. Or any 2 would be great! I don’t even care what colors were sent! We had one I used in care facility I worked in many years ago ( probably about 30 years ago). And I have wanted one since those days! It would be great to win this! I would give the other to my mom since neither of us can afford one. My grandmother had one ad she loved it. I love the Kitchen Aid brand. It would get good use of it. 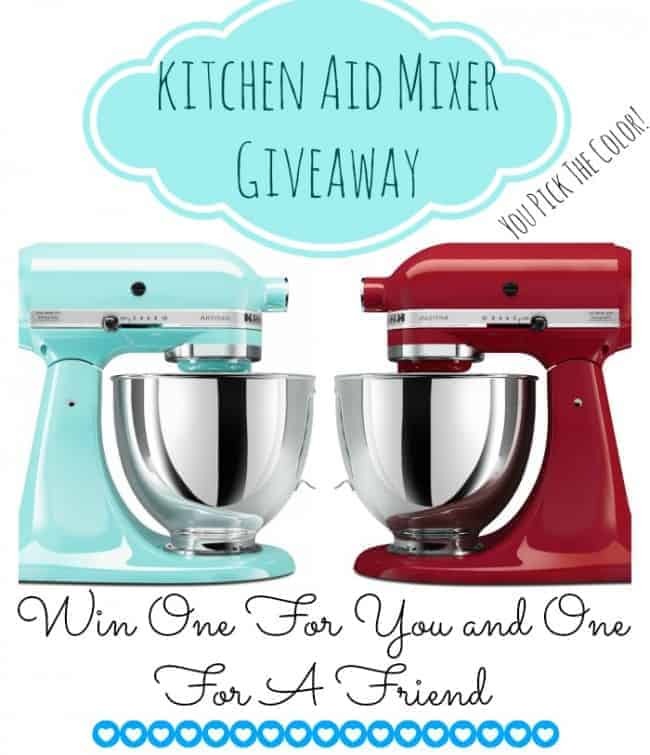 Would love to win – just messed my mixer up at Thanksgiving – and need a new one for Christmas baking! I would love to win this 🙂 Please and Thank You! Hope it’s not too late to enter! Would love to win one of these– in Tangerine, to match my “vintage, 1970’s era kitchen”.